The length of class is dependent on the number of participants. This course is intended for any individual that will be operating a forklift. Forklift safety training teaches employees how to identify specific health and safety hazards in the workplace associated with operating a powered industrial lift truck. This safety training includes a combination of formal classroom instruction, demonstrations and practical exercises performed by the trainee, and an evaluation of the operator’s performance. Students are required to complete 100% of the course and actively participate in all learning activities, to receive a course completion certificate for Forklift Safety Training from TSCTA. *This class is only available for groups at client’s jobsite. 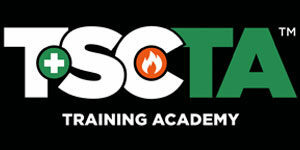 For all training inquiries Complete our OnSite Training Request Form.